Seriously though, who’s ready for some football? I take it that since you’re reading this article, you have at least a marginal interest in fantasy football. I for one, cannot wait much longer. If I’m being honest, I was ready for Week 1 the Sunday following the Super Bowl. This whole offseason thing is a drag! At least my Blue Jays are red-hot! Seriously, it’s not even fair. Price, Tulowitzki, Donaldson, Bautistia, Encarnacion. It doesn’t get much better than that, folks! The top-notch baseball my blue birds have been playing recently is really helping me get through the dog-days of August. The regular season might be a month away, but we still have another season to relish in before the big one comes. The season I’m referring to, of course is drafting season. Those fantasy drafts are just around the corner! 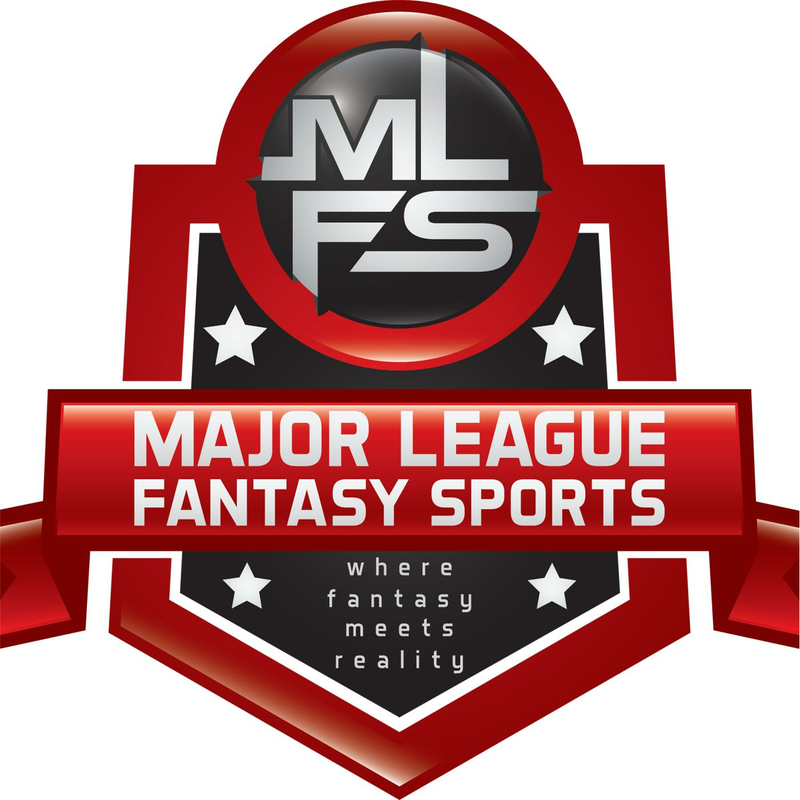 Hopefully, you’ve read the rankings by my colleagues and I at Major League Fantasy Sports to gain that inside edge come draft day. Here is some more knowledge to stash away in the back of your cranium. My second-to-last installment of running back rankings for 2015. Training camp is a week old, and we already have a significant injury to a big-time perennial fantasy stud. Foster, a running back who has produced 1,200 yard+ season in three of the past four years, went down with a gruesome groin injury earlier this week. Rapoport are all reporting that Foster could return in three months. Which would mean, around Halloween, we should see the bellcow running back that most of us would have drafted around the early second round. This injury will mean that you can afford a three-down back at a major discount, provided that you have the room to stash him on your bench or IR spot. His draft stock is plummeting, nobody wants to touch a running back who won’t play Week 1 (or Weeks 2-8). So, why not invest in what he can bring you down the stretch? A career 4.5 yards per carry and five touchdowns or so. In the mean time, look for my boy Blue. He should be the guy while Foster recovers. For the first time in his career, Jonathan Stewart has a backfield all to himself. No more DeAngelo Williams, no more time share. Sounds like a good time! Right? Despite being in an annual time share with DeAngelo Williams, Stewart hasn’t played a full 16 game season since 2011. Meaning, he wasn’t even shouldering a full bellcow load and had trouble staying on the field. In the four games where he had 20+ carries in 2014, Stewart averaged 118.75 yards/game (including the Panthers’ win over the Cardinals in Wild Card Weekend). The other three of those games came against Tampa Bay, New Orleans, and Cleveland. Not exactly a murder’s row of stalwart run defenses. If you think the touchdown numbers will come for Stewart, think again. The Panthers ran the ball inside the opponent’s ten yard line a total of 34 times, Cam Newton accounted for 11 of those carries, Stewart 8, and Mike Tolbert 7. The other eight were dispersed among the other running backs that came in and out of Carolina’s depth chart (Williams, Reeves, Whittaker etc.). In those eight carries, Stewart did score twice. However, his final line was 8/-3/2. That’s right, negative three yards. He was perpetually stuffed on the goal-line in 2014. The team did draft Cameron Artis-Payne out of Auburn, who is a between-the-tackles runner who should see some goal-line work. If you end up drafting Stewart, you’re banking on him to hold-up over a 16 game schedule AND get an adequate amount of carries to make up for the touchdowns he will be lacking. Just keep that in mind. DeMarco Murray carried the ball 392 times in 2014. The Dallas Cowboys’ new run-first mentality paid dividends in 2014. It launched them into the playoffs and earned them their first playoff win in, what seemed like, eons. Am I saying that Randle is the next DeMarco Murray? No. Will he run the ball nearly 400 times, put up 1,800 yards, and score 13 times? No. But, what Joseph Randle is, right now, is the odds-on favorite to lead a team in carries that LOVES to run the ball. His main competition is Darren McFadden, a running back that has averaged an underwhelming 3.4 yards per carry or less in four of the seven years he has been in the NFL, and Lance Dunbar. Dunbar has seen a total of 80 carries in his three year NFL career. Let’s go back to McFadden for a second. Not only has he under-performed for more than half his NFL career, he has NEVER played a full 16 game schedule. He’s already battling a hamstring injury and camp started around a week ago. I really don’t see him taking this job away from Randle. Yes, the current cast of running backs behind Randle is rather underwhelming. However, the Cowboys are more than open to adding someone from the outside if Randle fails to produce. Could the likes of Steven Jackson, Chris Johnson, or even Shonn Greene be brought in if none of these backs produce? Maybe the Bills cut Fred Jackson and he becomes the guy in the event of a Joseph Randle failure? All I’m saying is that Joseph Randle is the leader in a backfield that will run a ton. Him and his career 4.8 yards per carry in 105 career attempts is more than worth the gamble. That has value. Remember that Andre Ellington hype-train that left the station last August? He was going to be the Matt Forte of the Southwest. A shifty, three-down back who would get a crap load of receiving yards. People remembered his 15/154/2 game on October 27, 2013 in Atlanta and went nuts when they realized that he had no other competition around him in the following August. By all accounts, he had a decent first half. Not great numbers, but he was productive enough with an average line of 18.6/69.87/0.25. Not a terrible first half. He averaged 25.25 yards/game, scored once, and ended his season on the IR. His body broke down in the second half of 2014, prompting the Cardinals to draft David Johnson out of Northern Iowa this offseason. Johnson is a back who has a very similar skill-set to Ellington. Some even say he’s a better pass-catcher than the incumbent. Head Coach Bruce Arians told Mike Jurecki of Fox Sports Phoenix that he “envisions Ellington seeing 20 touches per game.” This is what fantasy owners sign-up for when they draft a guy like Ellington. I’m not saying you shouldn’t draft him in this range. By all means, grab him. He will be productive through September and October, but make sure you grab Johnson or sell-high whenever he goes off, because if last year is any indication, he doesn’t physically profile as the workhorse back the Cardinals want him to be. Forsett came out of nowhere to pick up the pieces in a Baltimore backfield that was a complete mess at the beginning of the 2014 campaign. He finished the year with a line of 235/1,266/8. Impressive numbers that, more than likely, won many fantasy owners their leagues. Who would have thought that the very same running back THAT WAS CUT FROM THE JACKSONVILLE JAGUARS’ PRACTICE SQUAD would put up RB1 numbers? I doubt the Ravens did either. They made sure that Bernard Pierce and Lorenzo Taliaferro got more than their fair shakes before they inevitably gave Forsett the keys to the car. Give credit to Forsett, he made the most of his opportunity. 1,500+ all-purpose yards is impressive. With the addition of Marc Trestman to the coaching staff, he should see an up-tick in the receiving numbers. That’s all fine and dandy, but I am still skeptical. I just feel like there’s a reason why this guy bounced around the league before eventually landing this job. I would like to see him do it again before fully jumping on-board. Despite the Saints going out and signing C.J. Spiller, I really don’t see Ingram’s playing time taking too big of a hit. He is the clear front-runner for early-down work, goal-line carries and clock churning; all skills that do not fit Spiller’s skill-set. In 2014, Ingram had a career year of 226/964/9, A career year from the former Heisman Trophy winner. Despite being well-known for their passing attack, the Saints ran Ingram quite a bit. He had five games of 23+ carries last season. He also had 72% of the goal-line carries for the Saints last year, seven of which resulted in touchdowns. Ingram is the primary back in an offense that puts up a ton of points, year in and year out. There will be an ample amount of opportunities for him to run the ball into the end-zone. I have no reason to believe that he won’t, at the very least, come close to the numbers he put up last season. Draft accordingly. I wrote about Coleman in my second rookie preview back in June. He is a phenomenally talented running back who ran a 4.39 during his pre-draft Pro Day. Initial reports out of Falcons’ camp suggest that he and Devonta Freeman will split carries early on this season. I suspect that Coleman will have, at least, the lion’s share of the carries by the second half. Simply put, he’s just more talented than Freeman. If the front office in Atlanta had any faith that Devonta Freeman or Antoine Smith had the potential to be anything more than change-of-pace guys, they probably wouldn’t have invested a third-round pick in another running back. Especially with all the needs they have on defense. Also, remember how fruitful owning a running back in a Kyle Shanahan offense can be. The Cleveland Browns ran a whopping 63.2 % in the red-zone and 62.7% in goal-to-go situations under Shanahan Jr. last season. Coleman has the most promise to be the between-the-tackles type on that Atlanta depth chart, expect him to get the majority of those opportunities. There’s a reason why the 49ers’ took Hyde with a second-round pick in the 2014. There is also a reason why they let veteran running back Frank Gore walk last offseason. That reason starts, and ends with, Carlos Hyde. ‘Los Hyde runs like a young Frank Gore. He and his six-foot, 230 lb. frame runs with a purpose every time he carries the ball. He’s the type of back that can fall forward for five yards, a bruiser that will break tackles if defenders come at him unprepared for his physical nature. You don’t need to see too much of that highlight reel to see what I mean. Sure, Reggie Bush (and, inevitably Kendall Hunter when Reggie Bush gets hurt) will play on passing downs, but in 2014 the 49ers had only 17 passing attempts more than rushing attempts. In other words, the running back who isn’t the passing-down runner should see significant playing time, and that back is clearly Carlos Hyde. Think what you wanna think about the Jacksonville offense. Yeldon will be fed the ball a ton in Northern Florida. teams into the playoffs for that month or so he went off, but the former Michigan quarterback is going to be nothing more than a gadget player. Early reports suggest that Yeldon has picked up the Jacksonville playbook with ease and is having success in pass protection. All indications are that the Jaguars are getting the three-down back they signed up for. Yes, granted, many drafted Toby Gerhart last August with the same expectations. And, yeah, they all got burned. This is the reason why many will stay away from Yeldon. Don’t be that guy. Yeldon will get fed a ton in Jacksonville, and the main difference between Yeldon and Gerhart is… Yeldon actually has talent. In the three seasons going up against SEC defenses, he racked up 3,300 yards and averaged 5.77 yards/carry. Use the Jacksonville stigma to your advantage. It will be worth it. For more on T.J. Yeldon, click here. Let me ask you this: If you’re sitting at the roulette table in a casino and red comes up eight times in a row, do you ride or fade the streak? In other words, are you betting on a streak to continue? Or, are you going with conventional wisdom and betting on all good things to come to an end? Ponder that question when Frank Gore shows up on your draft board. missed a game since 2010 and had not had less than 1,100 yards in the last five seasons. He has also carried the ball at least 20 times in a game 47 times during his career. He has seen a ton of work over his career and is past the age (30) that NFL running backs tend to fall off the cliff. Is this the year that, to continue with my roulette metaphor, black finally shows up? Or, is Frank Gore the exception to the rule of aging ball carriers? Personally, I like to ride a good streak. Gore faced more fronts of eight or more defenders than any other back in 2014. Needless to say, that will not be the case in Indianapolis. He will see soft boxes week in, week out, in addition to goal-line work in one of the most prolific offenses in the NFL. If 2015 is the year Gore finally falls off, then that’s the way she goes. It’s a gamble I am more than willing to take. It’s a bet that could pay-out huge in the form of 1,000+ yards and six-eight touchdowns. Given my St. Louis Ram fandom, call me a “homer” if you want, but I LOVE Todd Gurley. I believe if he had not torn his ACL last season, he would have been a top-five pick. Some scouts are calling him the best running back prospect since Adrian Peterson. That’s not a huge deal at this stage in the season, it only makes sense to keep your prized running back out of pre-season games. In fact, Fisher has said numerous times that the Rams will take a conservative approach to Gurley’s work load until he is 100% ready to handle the workload that comes with being a feature back. Make no mistake, he WILL be a feature back. He has the potential to be a once in a generation back. Use his quiet preseason to your advantage. He will be the feature back in St. Louis at some point this season. Probably sooner, rather than later. These aren’t your older brother’s Raiders. The 2015 Oakland Raiders will not be the perpetual push-over they’ve been over the last few years. Years of terrible football can afford you the luxury of talented young players such as Derek Carr, Kalil Mack, Amari Cooper, and the up-and-coming Latavius Murray. The Raiders “Raidered-up” their running back situation in 2014, signing the shell of Maurice Jones-Drew and giving Darren McFadden more reps than he should have gotten. Subsequently, burying Murray in the depth chart. It wasn’t until week 12 when we really saw what Latavius Murray really was, and that is, a stud. on Thursday Night Football. He would score again in that game, giving him a final line of 4/112/2. He left that game with a concussion, but man, did he make his carries count. Any coincidence that the Raiders would win that game? Their first win of 2014. “He can do it all… For a big guy, Latavius has extremely good quickness… And when he gets behind his pads, he is hard to tackle. Smaller linebackers might be in serious trouble.” – Raiders’ Offensive Line Coach Mike Tice. New Raiders’ Offensive Coordinator Bill Musgrave told the San Francisco Chronicle that he plans to “tailor” his offense to Murray. Musgrave spent time on Chip Kelly’s staff, just saying. Murray, at 6’3″-230 lbs, is a rare combination of size and speed who is, with due respect to Trent Richardson and Roy Helu, the undisputed top back on the Oakland Raiders. Don’t let the 82 career carries fool you, this guy’s the real deal. Alright, one more week until the top-12 running backs are revealed! Stay tuned. And remember, only FIVE Sundays until kickoff!